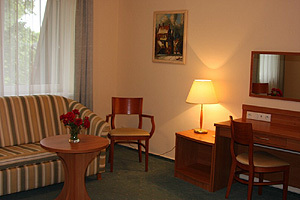 The Feniks Guests house has excellent location close to the centre of Poznan away from the city noise among the green. The professional service provided by the Pension will ensure the comfort and favorable conditions for work and rest. Guests will enjoy nice, homely atmosphere, friendly and efficient service, excellent cuisine and reasonable prices. The hotel’s motto is full professionalism. The hotel features 17 modern and spacious apartments equipped with a bathroom, telephone, TV-SAT and kitchen annex with a refrigerator and electric oven. There are altogether 41 sleeping places. Extra bed is available. The hotel guarantees full safety. 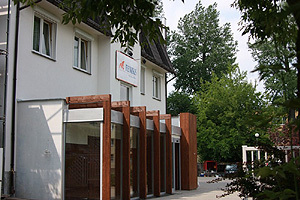 The pension is monitored and protected for 24 hours. Guests can leave their cars on the free car park. The internet access is available. is 4 km away from the city center, 4 km away from the main railway station and 3 km away from the main bus station. the airport is 10 km away.